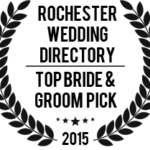 We are Award Winning Photojournalists and Wedding Photographers specializing in journalistic modern wedding photography. Our combined experience in Photojournalism and Editorial Portraiture spans decades and is a testament to the love of our craft and our clients. 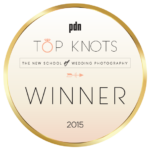 We were a ‘Top Knots’ New School of Wedding Photography Award Winner as awarded by Photo District News (PDN), the award-winning monthly magazine for the professional photographer, which has been covering the professional photographic industry for over two decades, as well as a Top Bride and Groom pick in the Rochester Wedding Directory. 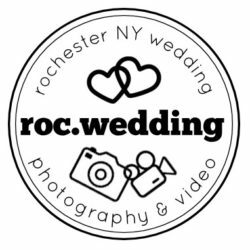 We are also Destination Wedding Photographers providing professional photography to all of New York State and beyond. We serve Buffalo, Syracuse, Rochester, the Finger Lakes, Adirondacks, NYC and beyond. We are also destination wedding photographers with valid passports and have photographed weddings in Europe, Canada, and Mexico. Buffalo Wedding Photographers, Wedding Photographers Rochester, Rochester Wedding Photographers, Finger Lakes Wedding Photographers, Adirondack Wedding Photographers, NYC Wedding Photographers, Syracuse Wedding Photographers.Michael Hanlon Top 10 Wedding Photographers Rochester NY.